A Tonk's Tail... err, Tale...: A Cat Can Dream, Can't He? About The Geekie Awards. Yeah, they're a THING. And they're in Los Angeles TONIGHT. Can you believe we didn't know about this? Our Aunt Connie had to clue us in. But ever since, Maxwell's had aspirations. Maybe next year, Maxie. Maybe next year. My human heard about those, but she didn't think she was geeky enough for it - she only dabbles in geekiness. MOL! The unfurry menfolk here could be pawrticipants in those...all three of them are geeks to the max! Bet we dont win. We've been real unlucky lately. Do Mice choose the winners? MOL! We think you should win an award, Maxwell! Perfect geek face there Maxie!! I am sure you will be there next year Maxie. 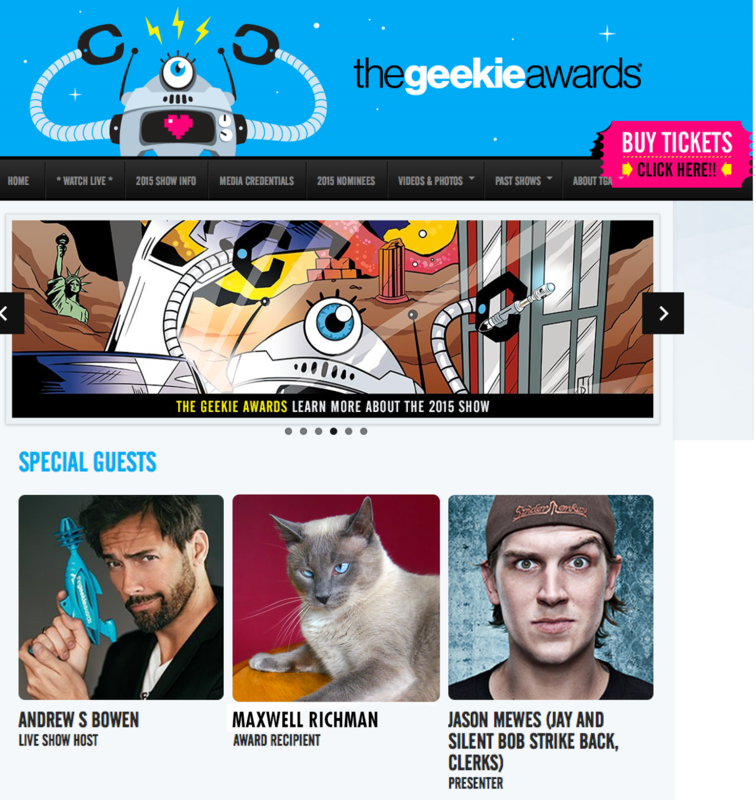 We knew about the geekie awards because the head peep is such a geek. But Maxwell ought to be an award-winning one. Hanging out with a scientist at home like he does will do that to a cat.